Saving money through avenues like meal planning, shopping the sales and clipping coupons is not something you do every once in a while and find success. It is a paradigm shift in the way you approach shopping. To truly be successful and save money on the products you need and regularly purchase, you have to always be looking for deals. Its not about going to the grocery store once and using coupons. Its about buying things when they are on sale, so you never have to pay full price. When it is on sale, I might not really “need” it right now, but I will need it later. So I buy it now, so I won’t have to pay full price later. 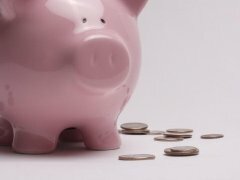 Is saving money a lifestyle for you, a way of life? Or is it something you do when it is convenient? We have to make living frugal a lifestyle. With three kids and one income, money is tight most of the time. For instance, my husband I both need new glasses, but we don’t quite have the money to get the vision check up and glasses. Today’s Groupon is for Pearle Vision. We’re buying two now. That’s cut our cost, and we can get them sooner! Monica, I totally agree. I actually have to be really careful not to let it become addictive to me, because I have so much fun. I have to be very disciplined to remember why I am doing it, not just to get free things, but to save money for my family to either live below our means or have the opportunity to live generously. Definitely a lifestyle. I just hate being wasteful of anything, which includes not only the food in our fridge (less waste=save $$), but our income as well. I can’t stand spending more on something if I know I can get it for less! And that shirt on the rack at the store? Even if I KNOW I can afford to pay the sticker price, I can’t ever bring myself to do it. It is definitely a lifestyle for me. It helps me and Craig to control our money, rather than our money control us. It’s kind of nice to be able to sleep at night, not worrying about money! Oh my goodness … I’m embarrassed that the photo is so big. Why is it so big??? I got married a few months ago and started learning the ‘ more complex’ ways to save money, out of necessity. First I learned couponing and was shocked at how easy it was to consistently get things for free! Next I discovered blog giveaways and have a lot of fun winning things that I’d never have purchased myself. Also I learned stockpiling, and as my husband is out of work right now, it has been SUCH a huge blessing. Thanks so much to you and so many other bloggers who have taught me SO much about how to live frugally and generously! I actually get sick to my stomach if I don’t plan ahead and have to buy something without checking to see if it’s on sale or I have a coupon. I almost always happens that I get home and see the coupon I didn’t have or it goes on sale the next day!! I have been a couponer for about 5 years. It came from being a desperate single mom on an income of about $400 a month. Soon, it became an addiction. My “me time” is sitting down each Saturday (or Sunday) morning with my coffee and going through all the ads and coupons. I would say my average savings each month for all household needs (not just groceries but toiletries and such as well) is about 30%. Not too bad since I only have 5 choices of places to shop within a half hour of me. I am such an addict, I do the shopping and have a huge “stockpile” I mark my cost on each package of shampoo, lotion, laundry soap, pads and anything else I score. Then my family comes “shopping” at my house. Its a good (and cheap) way for me to help out my family (who doesn’t want to do the work) and fuel my addiction.